Spawn your frozen fish! How? just look at this astonishing paper! 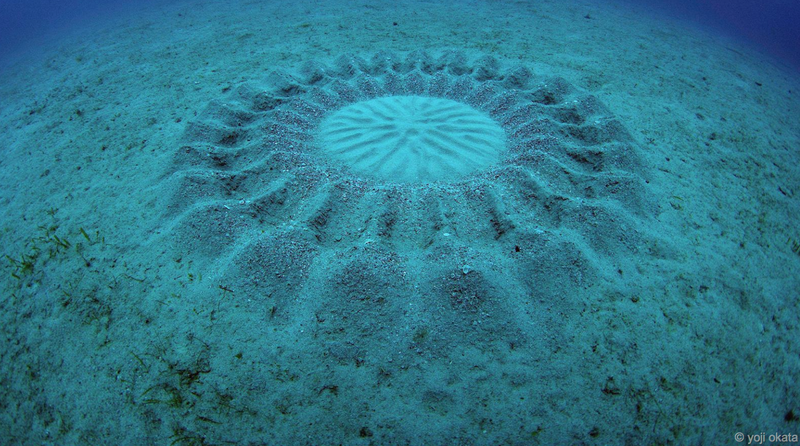 Torquigener albomaculosus sp., a new pufferfish of the genus Torquigener that builds “mystery circles” on sandy bottoms in the Ryukyu Islands, Japan (Actinopterygii: Tetraodontiformes: Tetraodontidae). The origin and early phylogenetic history of jawed vertebrates. Fossils of early gnathostomes (or jawed vertebrates) have been the focus of study for nearly two centuries. They yield key clues about the evolutionary assembly of the group’s common body plan, as well the divergence of the two living gnathostome lineages: the cartilaginous and bony vertebrates. A series of remarkable new palaeontological discoveries, analytical advances and innovative reinterpretations of existing fossil archives have fundamentally altered a decades-old consensus on the relationships of extinct gnathostomes, delivering a new evolutionary framework for exploring major questions that remain unanswered, including the origin of jaws. Brazeau MD, Friedman M (2015) Nature 520(7548):490-7. New research by NOAA Fisheries has revealed the opah, or moonfish, as the first fully warm-blooded fish that circulates heated blood throughout its body much like mammals and birds, giving it a competitive advantage in the cold ocean depths.